Catherine Polcz will be participating in Art Conversations on Saturday 19 November, from 3pm. This event will be followed by afternoon tea. All welcome! Catherine Polcz is an artist, curator and scientist. She has a Masters in Plant Science from McGill University, and a Bachelor of Science in Environmental Science and Biology. She is a multimedia artist and has studied documentary media and photography at universities and artist-run centres in Toronto. Fascinated by botany, nature and the environment, Polcz creates work that unifies science and art in videos and museum-style exhibitions. Catherine is a curatorial researcher at museum in New York, a small renowned design museum. Her artwork has been exhibited in Sydney, Melbourne, Adelaide, Toronto, Montreal and San Francisco. Image: Catherine Polcz, Herba Morbus promo digital image, 2016. Courtesy of the artist. We’re drawn to ideas like little moths to the light. Tentative reachings towards the light, trying to explore and understand the possibilities of everything this vast, diverse and beautiful planet has to offer us. With Herba morbus, artist and scientist Catherine Polcz takes us on a journey through the strange maze of plant intelligence, inquiring down dusty corners and brightly lit hallways with an exhibition that combines and collects many fractals of science and pseudoscience, myth, art, and poetry. Presented in the format of a traditional museum exhibit, each piece is given equal weight for consideration. 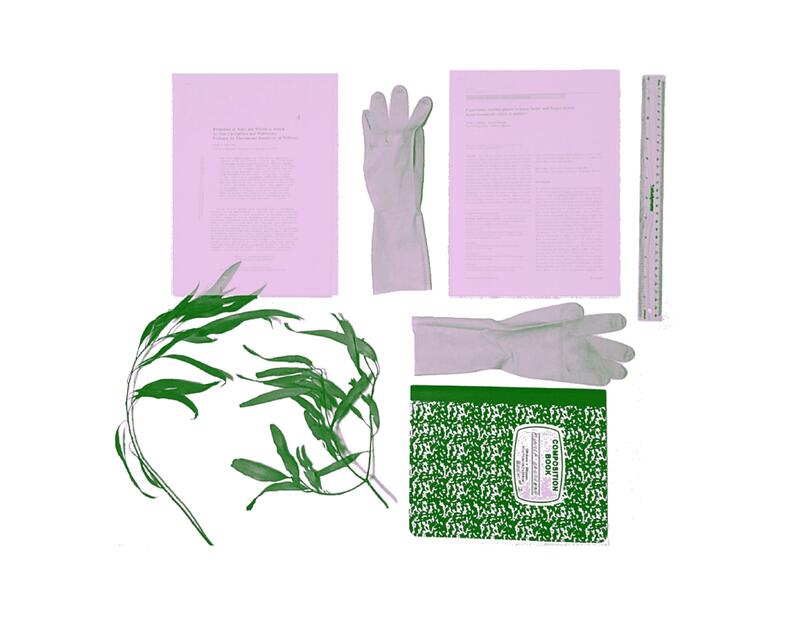 Polcz’s collection of plant related objects, poems, records, experiments, systems of classifications, research papers and an interactive ‘visit’ show a tender and curious resolve towards plants. The common threads throughout these diverse and sometimes clashing realms reveal the unifying need in humans to classify, understand, and assign language and absolute ideas onto plants. The 2008 film The Happening (received a solid 18% on rotten tomatoes) explores our fear of plants, the fear of the many unknowns in plants. It depicts plants as sentient, with human like motivations of revenge and murder. Cleve Backster’s infamous plant consciousness studies had plants witness and identify plant “murderers.” Even Mort Garson’s Plantasia (a record of electronic music recorded in 1976 to play to your plants), is essentially a cute misunderstanding that again tries to assign human meaning to and anthropomorphize plants. Plants are ancient, and the reason humans and animals can inhabit the earth. Fungi is estimated to have appeared 1.3 billion years ago and land plants 700 million years ago. Plants originally evolved in the oceans before drifting to land. Before the arrival of plants, Earth was a rocky, barren land mostly covered in ice. We depend on plants for air, food, shelter, medicine, habitat and more. Yet after Aristotle claimed plants insentient 2300 years ago, it seems not much has changed. The idea of plants having intelligence is still largely scoffed at. Part of the problem seems to be our definition of “intelligence” as belonging to humans and our systems of classification. The other side of it seems to be time. Plants can be as sophisticated in their behaviour as animals (according to the researchers at International Laboratory of Plant Neurobiology), yet we can’t observe this as plants operate on a much, much slower time frame. We might never be able to see and understand plants for what they are because we are simply out of step and time with them. We might be more aware of the responsibility that we have to the earth….the food we eat, the air we breathe, given to us by the plants. We are the absurd appendages of an ongoing nature and nothing more. The plants alone prepared the earth for all life, for what have we prepared the plants for? We now know that plants can communicate with each other, but there is still so much unknown. It seems in some ways we need the emotional meanderings to rouse curiosity and interest. Will this help us to understand and respect plants more? Our ideas, art, music, misunderstandings and even what we choose to research about plants ultimately seem to tell us more about ourselves, and how we as a species make meaning than anything. Perhaps a throwback to “when science mingled with poetry in its pursuit of answers” is in order for plants. “A cabinet of wonder: A Los Angeles museum filled with curio and mystery“, The Economist, September 10, 2009. Existence in Waiting: Faye Mullen, Exhibition Essay, Xpace, Toronto. Yahoo! Answers: Alicia Nauta, Exhibition Essay, Xpace, Toronto.